Arsenal and Manchester United are keen on Napoli defender Elseid Hysaj, according to the football transfer rumours in Albanian Media. Elseid Hysaj has joined Napoli from Empoli for a fee in the region of 5 million euros in August 2015. The 23 year-old has a valid contract with Napoli until the June 2021. 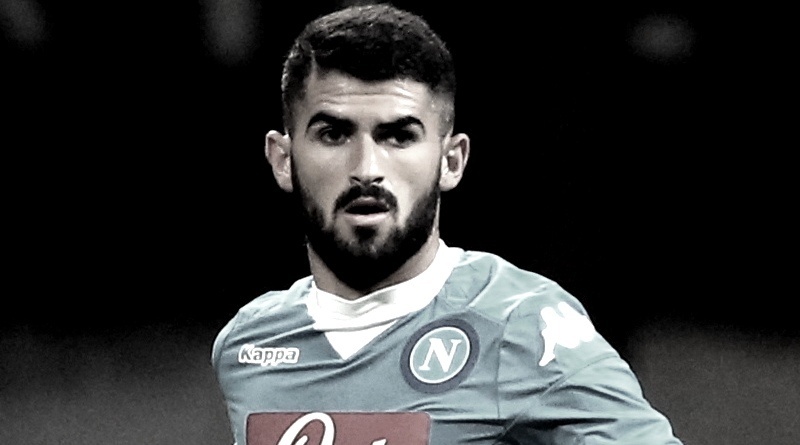 Since his arrival from Empoli, Elseid Hysaj has provided four assists in 80 games for Napoli, including two assists in 37 games in all competition this season. Elseid Hysaj has also represented Albania at Under-17 and Under-21 level, winning seven caps across all age groups. Since February 2013, Hysaj is a member of Albania national football team, winning 29 caps. The 23-year-old is considered to be one of the best defenders in Albania. The Albania international has been in outstanding form for Napoli this season. Elseid Hysaj has been long term target of José Mourinho and Arsène Wenger as the managers look to bolster their defensive options for the next season. Arsenal and Manchester United aren’t the only ones who are reportedly interested in the 23-year-old, few Bundesliga clubs are also thought to be tracking him. How strong that interest is and whether Arsenal and Manchester United will make a summer move remains to be seen but it is certainly one worth keeping an eye on.